Our study reveals that the latitudinal position and the intensity of southern hemisphere trades and westerlies is correlated. In the last decades westerlies have shifted poleward and have intensified. Furthermore, the latitudinal shifts and intensity of the trades and westerlies impacts the sea surface temperatures around Southern Africa and in the Benguela upwelling region. The future development of the wind stress depends on the strength of greenhouse gas forcing. We developed a computer model that simulates forests plantations at global scale, and how fast such forests can take up CO2 from the atmosphere. 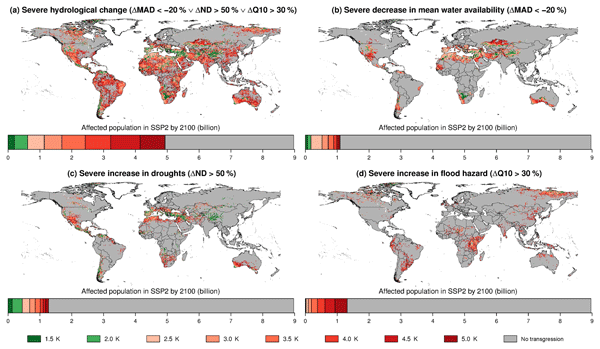 Using this new model we performed simulations for a scenario in which a large fraction (14 %) of global croplands and pastures are either converted to planted forests or natural forests. We find that planted forest take up CO2 substantially faster than natural forests and are therefore a viable strategy for reducing climate change. Earth's climate can be studied as a system with different components that can be strongly altered by human influence. One possibility is that the El Niño phenomenon becomes more frequent. We investigated the potential impacts of the most frequent El Niño: a permanent one. The most noticeable impacts include variations in global water availability and vegetation productivity, potential dieback of the Amazon rainforest, southward expansion of the Sahel, and further aridification of Australia. Both drivers from the mid-latitudes and from the tropical regions have been proposed to influence the Indian summer monsoon (ISM) subseasonal variability. To understand the relative importance of tropical and mid-latitude drivers, we apply recently developed causal discovery techniques to disentangle the causal relationships among these processes. Our results show that there is indeed a two-way interaction between the mid-latitude circulation and ISM rainfall over central India. In this study, the regional MiKlip decadal prediction system is evaluated. This system has been established to deliver highly resolved forecasts for the timescale of 1 to 10 years for Europe. 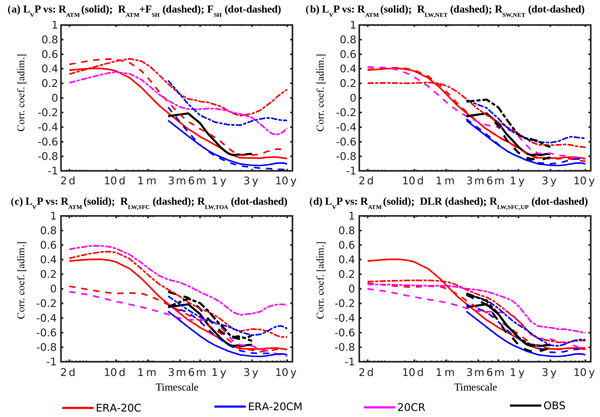 Evidence of the general potential for regional decadal predictability for the variables temperature, precipitation, and wind speed is provided, but the performance of the prediction system depends on region, variable, and system generation. 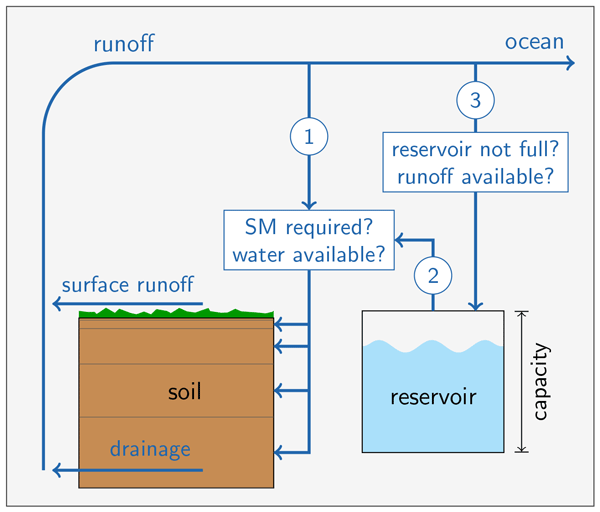 We develop a method to keep the amount of water in the soil at the present-day level, using only local water sources in a global climate model. This leads to less drying over many land areas, but also decreases river runoff. We find that temperature extremes in the 21st century decrease substantially using our method. This provides a new perspective on how land water can influence regional climate and introduces land water management as potential tool for local mitigation of climate change. ESD Ideas: Why are glacial inceptions slower than terminations? 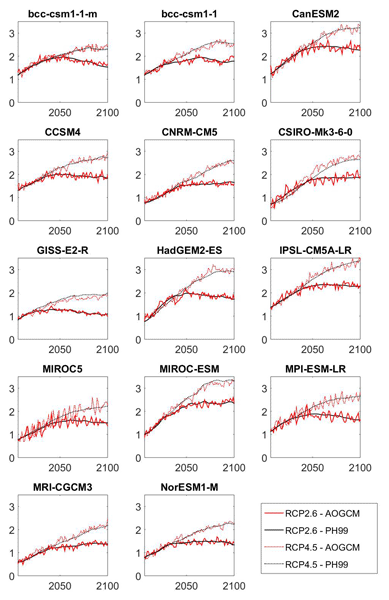 We find that for mitigation scenarios, prescribing atmosphere–ocean general circulation models' (AOGCMs') respective equilibrium climate sensitivities (ECSs) and transient climate responses (TCRs) to the one-box model results in too high global mean temperature projections due to the information loss resulting from the reduction of complexity. The one-box model offers a good emulator of these AOGCMs, provided the AOGCM's ECS and TCR values are mapped onto effective one-box counterparts. In this study, we analyse the impacts of three major climate oscillations on global crop production. Our results show that maize, rice, soybean and wheat yields are influenced by climate oscillations to a wide extent and in several important crop producing regions. We observe larger impacts if crops are rainfed, or fully fertilized, while irrigation tends to mitigate the impacts. These results can potentially help to increase the resilience of the global food system to climate related shocks. Meeting climate targets by direct CO2 injections: What price would the ocean have to pay? This modeling study is the first one to look at the suitability and collateral effects of direct CO2 injection into the deep ocean as a means to bridge the gap between CO2 emissions and climate impacts of an intermediate CO2 emission scenario and a temperature target on a millennium timescale, such as the 1.5 °C climate target of the Paris Agreement. Permafrost in Eurasian continent is extremely sensitive to global climate change. 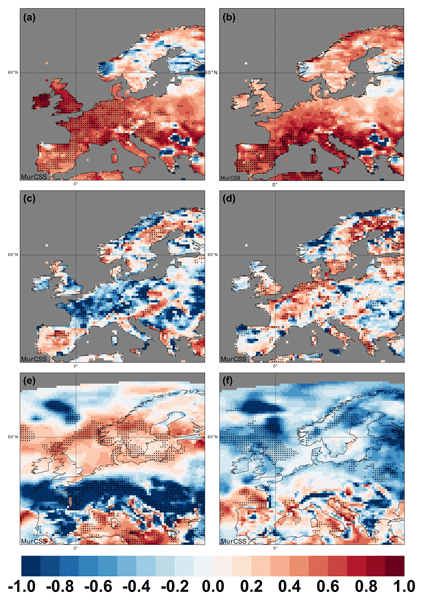 We used the data of 15 stations from the Global Network of Isotope in Precipitation (GNIP) and proposed that the δ18OP was correlated with local temperature on the monthly and seasonal timescales. However, on the annual timescale, except for temperature effect , δ18OP also reflects the change of water vapor source dominated by Eurasian Zonal Circulation (EZC) and North Atlantic Oscillation (NAO). 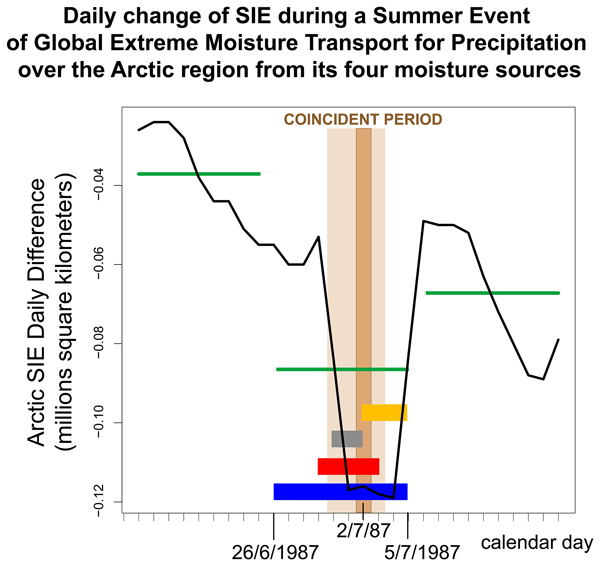 Ice melting at the scale of inter-annual fluctuations against the trend is favoured by an increase in moisture transport in summer, autumn, and winter and a decrease in spring. 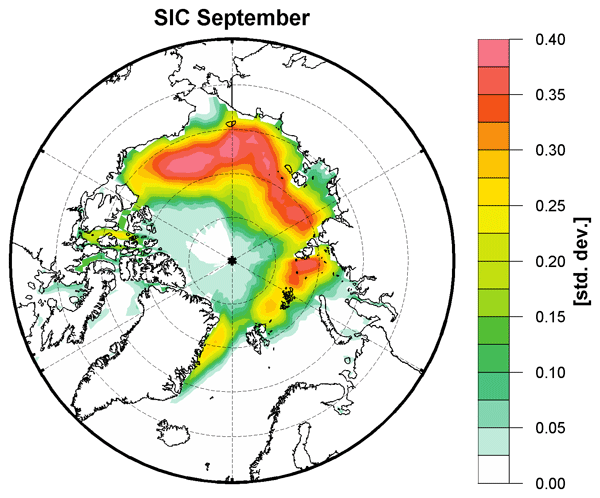 On a daily basis extreme humidity transport increases the formation of ice in winter and decreases it in spring, summer, and autumn; in these three seasons it thus contributes to Arctic sea ice melting. These patterns differ sharply from that linked to decline, especially in summer when the opposite trend applies.